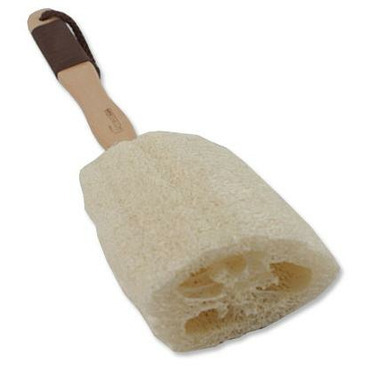 Use this wooden loofah sponge to gently exfoliate skin to leave it clean and healthy looking. Unfortunately, this is made in China and not Canada. i was very disappointed to find that out. And the loofah sponge itself is shaped oddly and doesn't perform very well. The head tends to detach too easily as well. I love buying Canadian (or North American). Well made with wood and good quality loofah sponge. Great in the shower. It is handy that the loofah detaches from the head, if it is bothersome, I imagine a small stainless screw would fix it, pre-drill the hole first. The loofah is excellent. Perfect amount of exfoliation; not too rough, not too soft. Although it is convenient to have the loofah detachable from the handle, sometimes it happens when you don't want it to. The handle is a good length as well. This is a excellent Canadian product and I especially like that I can remove the scrubber from the long handle. Very effective device.